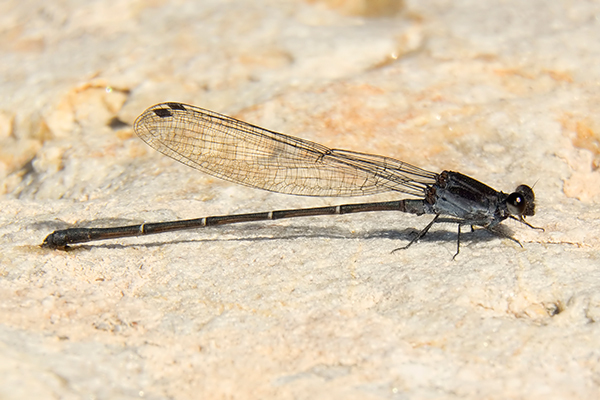 The Tezpi Dancer in Arizona is uncommon and found most frequently along mid-elevation rocky streams. It is, however, occasionally seen at bodies of still water. 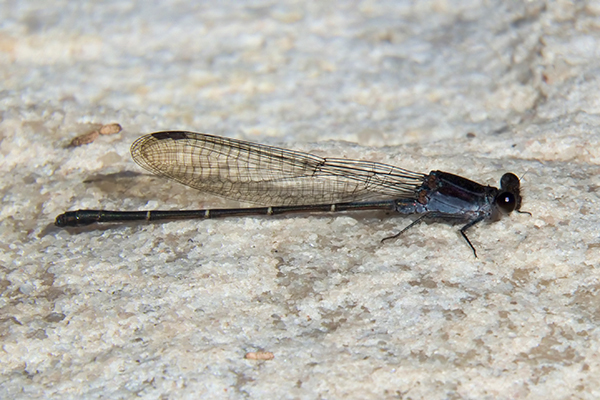 Three males (photos below) were discovered along the shore of Kearny Lake in Pinal Co. on 22 November 2014. This site represents a new location for the species. 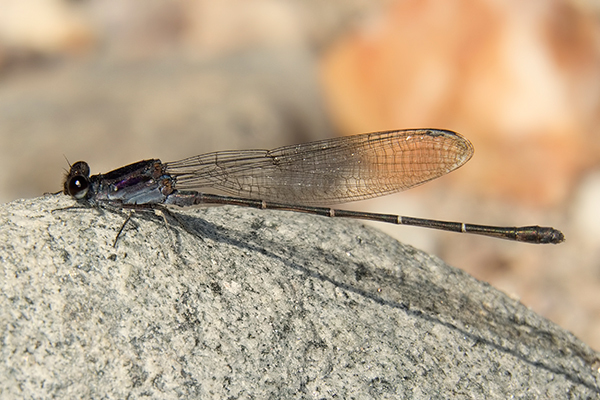 In addition, the date (22 Nov.) is the same as when a male was found, also in Pinal Co., in 2008, and is the latest date that the species has ever been recorded in Arizona.